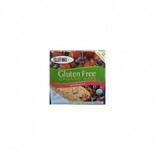 Attributes: Gluten Free, Natural or Organic IngredientsIngredients: Gluten Free Toasted Oats (whole grain oats, organic cane sugar, canola oil, mixed tocopherols [contains soy]), Tapioca Syrup, Rice Crisp, Palm Oil, Chocolate Chips (cane sugar, chocolate, cocoa butter, soy lecithin, vanilla), Organi.. 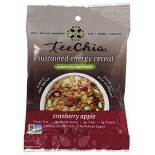 Attributes: Gluten Free, Natural or Organic IngredientsIngredients: Gluten Free Toasted Oats (whole grain oats, organic cane sugar, canola oil, mixed tocopherols [contains soy]), Tapioca Syrup, Rice Crisp, Raisins, Palm Oil, Organic Tapioca Syrup Solids, Organic Cane Syrup, Rice Fiber, Organic Inuli.. 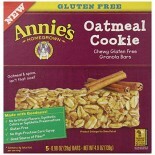 Attributes: Dairy Free, Gluten Free, Kosher, Natural or Organic Ingredients, Non-GMO Project Verified , Vegan, Wheat Free, Yeast FreeIngredients: Certified gluten free oats, brown rice syrup, evaporated cane juice, crisp rice (brown rice), dried apple, expeller pressed canola oil, flax seed, quinoa,.. 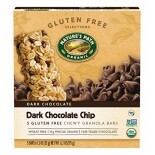 Attributes: Dairy Free, Gluten Free, Kosher, Natural or Organic Ingredients, Non-GMO Project Verified , Wheat Free, Yeast FreeIngredients: Certified gluten free oats, brown rice syrup, evaporated cane juice, chocolate chip (sugar, chocolate liquor, cocoa butter, soy lecithin, vanilla extract), crisp.. 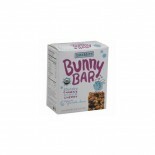 Attributes: Dairy Free, Kosher, Natural or Organic Ingredients, Non-GMO Project VerifiedIngredients: Whole Grain Wheat*, Sugar*, Rice Flour*, Sunflower Oil*, Oat Fiber*, Maltodextrin*, Sea Salt, Cinnamon*, Dextrose*, Rice Extract*, Soy Lecithin*. 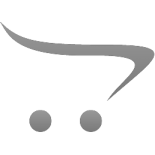 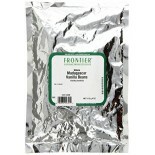 Vitamin E (Mixed Tocopherols) Added To Retain Freshne.. 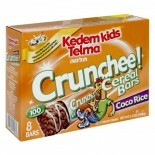 Attributes: Foodservice (Single Serve), Kosher, Natural or Organic Ingredients, Non-GMO Project VerifiedIngredients: TAPIOCA SYRUP*, ROLLED OATS*, INULIN (A SOURCE OF FIBER)*, CRISP RICE* (RICE FLOUR*, SUGAR*, SEA SALT, MALT EXTRACT*, ANNATTO COLOR), SEMISWEET CHOCOLATE CHUNKS* (CHOCOLATE LIQUOR*, S.. 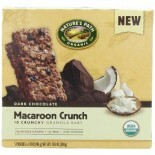 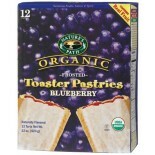 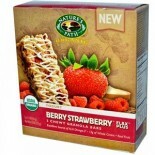 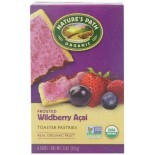 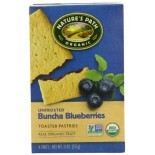 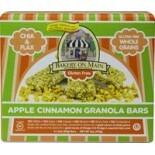 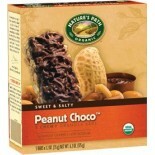 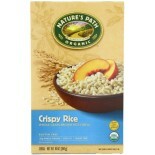 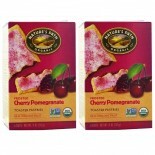 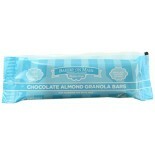 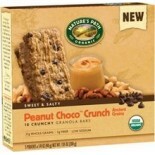 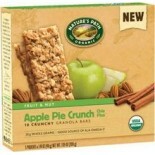 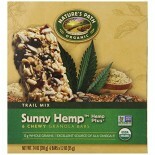 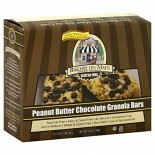 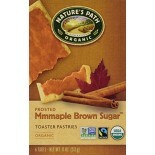 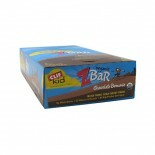 Attributes: Dairy Free, Kosher, Low Salt / Low Sodium / Reduced Sodium, Natural or Organic Ingredients, Yeast Free.. 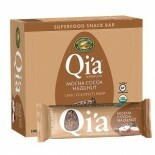 Attributes: Foodservice (Single Serve), Natural or Organic Ingredients, Non-GMO Project VerifiedIngredients: Organic Rice Syrup, Organic Rolled Oats, Organic Chocolate Chips (Sugar Cane Juice, Cocoa Liquor, Whole Milk, Cocoa Butter, Lecithin, Vanilla), Crisp Rice (Organic Rice Flour, Organic Evapora.. 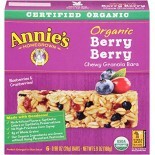 Attributes: Foodservice (Single Serve), Natural or Organic Ingredients, Non-GMO Project VerifiedIngredients: Organic brown rice syrup, organic rolled oats, organic rice flour, organic raisins, naturally milled organic sugar, organic dried blueberries, organic vegetable oil (organic sunflower, safflo.. 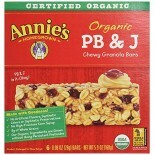 Attributes: Natural or Organic Ingredients, Non-GMO Project VerifiedIngredients: Granola* (rolled oats*, brown rice syrup*, sugar*, sunflower oil*, sea salt, baking soda, vanilla*), tapioca syrup*, raisins*, inulin*, crisp rice* (rice flour*, sugar*, sea salt, malt extract*, annatto color), oat fibe.. 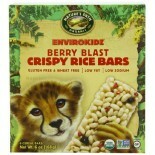 Attributes: Foodservice (Single Serve), Natural or Organic Ingredients, Non-GMO Project VerifiedIngredients: Organic Tapioca Syrup, Organic Rolled Oats, Naturally Milled Organic Sugar, Organic Crisp Rice (Organic Rice Flour, Organic Evaporated Cane Juice, Sea Salt, Organic Malt Extract, Annatto Colo.. 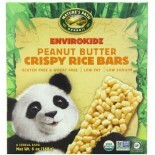 Attributes: Foodservice (Single Serve), Natural or Organic Ingredients, Non-GMO Project VerifiedIngredients: Organic Tapioca Syrup, Organic Rolled Oats, Organic Vanilla Chips (Naturally Milled Organic Sugar, Organic Palm Kernel Oil, Organic Soy Lecithin, Organic Nonfat Milk, Organic Vanilla Flavor, .. 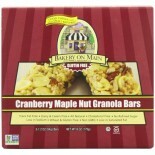 Attributes: Foodservice (Single Serve), Kosher, Natural or Organic IngredientsIngredients: Organic Rolled Oats, Organic Chocolate Chips (Organic Evaporated Cane Juice Syrup, Organic Bittersweet Chocolate, Organic Cocoa Butter, Organic Dextrose, Soy Lecithin), Organic Evaporated Cane Juice Syrup, Org.. 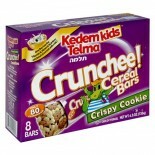 Attributes: Kosher, Low Fat, Natural or Organic IngredientsIngredients: Organic Rolled Oats, Organic Chocolate Chips (Organic Evaporated Cane Juice Syrup, Organic Bittersweet Chocolate, Organic Cocoa Butter, Organic Dextrose, Soy Lecithin), Organic Evaporated Cane Juice Syrup, Organic Brown Rice Syr.. 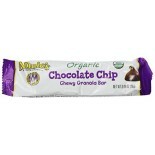 Attributes: Foodservice (Single Serve), Kosher, Natural or Organic IngredientsIngredients: Organic Chocolate Chips (Organic Evaporated Cane Juice, Organic Unsweetened Chocolate, Organic Cocoa Butter, Soy Lecithin, Natural Flavors), Organic Rolled Oats, Organic Brown Rice Syrup, Organic Oat Flour, Or.. 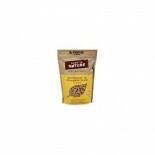 Attributes: Dairy Free, Low Salt / Low Sodium / Reduced Sodium, Natural or Organic Ingredients, Non-GMO Project Verified , Wheat Free, Yeast FreeIngredients: Rice Flour, Yellow Corn Flour, Sorghum Flour, Buckwheat Flour, Pysllium Husk, Sugar, Apple Juice Concentrate, Contains 2% or less of Salt, Sun.. 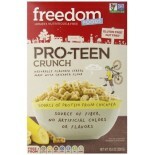 Attributes: Dairy Free, Low Salt / Low Sodium / Reduced Sodium, Natural or Organic Ingredients, Non-GMO Project Verified , Wheat Free, Yeast FreeIngredients: Flour Mix (Chickpea Flour, Rice Flour, Yellow Corn Flour), Cane Sugar, Psyllium Husk, Low Erucic Acid Rapeseed Oil, Contains 2% or less of Sal.. 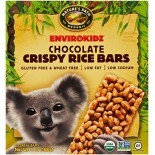 Attributes: Dairy Free, Gluten Free, Low Fat, Natural or Organic Ingredients, Non-GMO Project Verified , Wheat FreeIngredients: Dried Fruits (Raisins, Dates, Apples), Chickpea Flour, Corn Flour, Tapioca Flour, Brown Rice Syrup (Brown Rice, Water), Fruit Concentrate (Pear Juice), Inulin (Chicory Roo.. 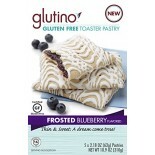 Attributes: Dairy Free, Gluten Free, Low Fat, Natural or Organic Ingredients, Non-GMO Project Verified , Wheat FreeIngredients: Dried Fruits (Raisins, Dates, Currants), Chickpea Flour, Corn Flour, Tapioca Flour, Brown Rice Syrup (Brown Rice, Water), Blueberries, Fruit Concentrate (Pear Juice), Inul.. 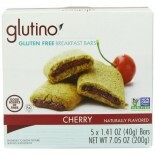 Attributes: Gluten Free, Natural or Organic Ingredients, Non-GMO Project Verified , Wheat FreeIngredients: Cherry filling (sugar, glucose, apple powder (calcium stearate), white grape juice concentrate, water, cherries (may contain pits), glycerine, canola oil, citric acid, pectin, fruit and vegetab.. 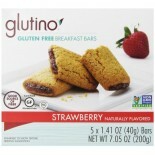 Attributes: Gluten Free, Natural or Organic Ingredients, Non-GMO Project Verified , Wheat FreeIngredients: Strawberry filling (sugar, glucose, apple powder (calcium stearate), white grape juice concentrate, water, strawberries, glycerine, canola oil, citric acid, pectin, sodium citrate, fruit and ve.. 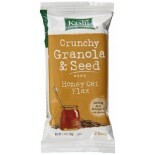 Attributes: Gluten Free, Kosher, Natural or Organic Ingredients, Wheat FreeIngredients: Organic Brown Rice Syrup, Organic Rice crisp (Organic Rice, Organic Evaporated Cane Juice, Salt, Organic Brown Rice Syrup), Organic Corn Flakes (Organic Corn Meal, Organic Concentrated Grape Juice, Sea Salt), Org.. 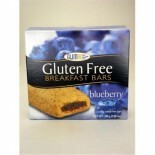 Attributes: Gluten Free, Natural or Organic Ingredients, Specialty ProductIngredients: BLUEBERRY FLAVORED FILLING (SUGAR, APPLE POWDER, BLUEBERRIES, GLYCERINE, WHITE GRAPE JUICE CONCENTRATE, WATER, MODIFIED TAPIOCA STARCH, PECTIN, CITRIC ACID, GRAPE JUICE CONCENTRATE, MALIC ACID, TRICALCIUM PHOSPHAT.. 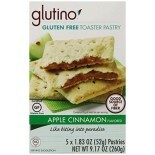 Attributes: Gluten Free, Natural or Organic Ingredients, Wheat FreeIngredients: Apple filling (organic sugar, apple powder (apples, calcium stearate), apples, glycerin, white grape juice concentrate, water, modified tapioca starch, pectin, citric acid, malic acid, natural flavor, tricalcium phosphat.. 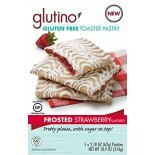 Attributes: Gluten Free, Kosher, Natural or Organic Ingredients, Specialty ProductIngredients: STRAWBERRY FLAVORED FILLING (SUGAR, APPLE POWDER, STRAWBERRIES, GLYCERINE, WHITE GRAPE JUICE CONCENTRATE, WATER, MODIFIED TAPIOCA STARCH, PECTIN, CITRIC ACID, MALIC ACID, NATURAL FLAVOR, TRICALCIUM PHOSPHA.. 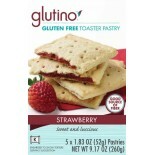 Attributes: Gluten Free, Natural or Organic Ingredients, Wheat FreeIngredients: Strawberry filling (organic sugar, apple powder (apples, calcium stearate), glycerin, strawberries, white grape juice concentrate, water, modified tapioca starch, pectin, citric acid, malic acid, natural flavor, tricalci.. 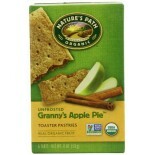 Attributes: Low Fat, Natural or Organic IngredientsIngredients: Apple filling (cane juice, apples, concentrated fruit juices [pineapple, peach, pear], tapioca, natural flavors, apple pectin, cinnamon, carob bean gum, annatto and turmeric), organic wheat flour, cane juice, expeller pressed canola oil.. 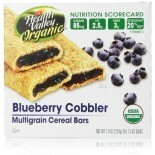 Attributes: Low Fat, Natural or Organic IngredientsIngredients: Organic whole wheat flour, blueberry filling (cane juice, blueberries, concentrated fruit juices (pineapple, peach, pear), tapioca, natural flavors, apple pectin, carob bean gum, red cabbage extract), cane juice, expeller pressed canola.. 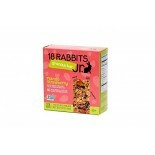 Attributes: Contains Refined Sugars, Low Fat, Natural or Organic IngredientsIngredients: Organic 100% whole wheat flour, strawberry filling (cane juice, strawberries, dried apples, concentrated fruit juices (pineapple, peach, pear), tapioca, natural flavors, apple pectin, carob bean gum, red cabbage.. 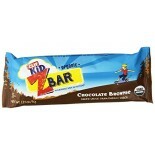 Attributes: Kosher, Natural or Organic Ingredients, Specialty ProductIngredients: Rolled Whole Grain Blend (Hard Red Wheat, Oats, Rye, Triticale, Barley), Brown Rice Syrup, Roasted Almonds, Soy Protein Isolate, Semisweet Chocolate Chunks (Organic Cane Syrup, Chocolate Liquor, Cocoa Butter, Soy Lecit.. 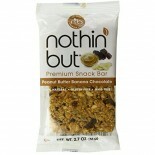 Attributes: Kosher, Natural or Organic Ingredients, Specialty ProductIngredients: Whole Grain Oats, Whole Grain Blend (Whole: Barley, Buckwheat, Hard Red Wheat, Rye, Triticale And Quinoa), Dried Cane Syrup, Semisweet Chocolate Chips (Dried Cane Syrup, Chocolate Liquor, Cocoa Butter, Soy Lecithin, Va.. 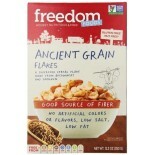 Attributes: Kosher, Natural or Organic Ingredients, Specialty ProductIngredients: Whole Grain Oats, Dried Cane Syrup, Whole Grain Blend (Whole: Barley, Buckwheat, Hard Red Wheat, Rye, Triticale And Quinoa), Expeller Pressed Canola Oil, Honey, Unmodified Cornstarch, Brown Rice Flour, Whole Flax Seeds.. 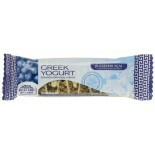 Attributes: Kosher, Low Salt / Low Sodium / Reduced Sodium, Natural or Organic Ingredients, Non-GMO Project Verified , Wheat FreeIngredients: Whole Grain Oats, Brown Rice Syrup, Organic Canola Oil, Date Paste, Amaranth Flour, Oat Bran, Dried Apples, Ground Flax Seeds, Whey Protein Concentrate, Dried.. 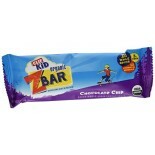 Attributes: Kosher, Low Salt / Low Sodium / Reduced Sodium, Natural or Organic Ingredients, Non-GMO Project Verified , Wheat FreeIngredients: Whole Grain Oats, Brown Rice Syrup, Organic Canola Oil, Date Paste, Banana Puree, Amaranth Flour, Oat Bran, Ground Flax Seeds, Whey Protein Concentrate, Freez.. 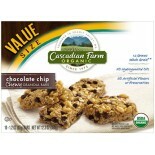 Attributes: Dairy Free, Foodservice (Single Serve), Gluten Free, Kosher, Low Salt / Low Sodium / Reduced Sodium, Natural or Organic Ingredients, Non-GMO Project Verified , Wheat FreeIngredients: Organic crispy rice (organic brown rice flour, organic evaporated cane juice, sea salt, organic molasses,.. 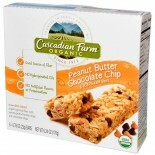 Attributes: Foodservice (Single Serve), Gluten Free, Kosher, Natural or Organic Ingredients, Non-GMO Project VerifiedIngredients: Organic Brown Rice Flour, Organic Brown Rice Syrup, Organic Honey, Organic Peanut Butter, Organic Chocolatey Icing (Organic Evaporated Cane Juice, Organic Palm Kernel Oil.. 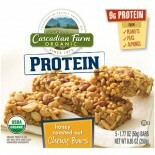 Attributes: Dairy Free, Foodservice (Single Serve), Gluten Free, Kosher, Low Salt / Low Sodium / Reduced Sodium, Natural or Organic Ingredients, Non-GMO Project Verified , Wheat FreeIngredients: Organic corn meal, organic evaporated cane juice, organic peanut butter (peanuts, salt), organic canola o.. 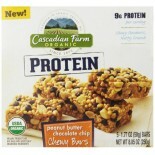 Attributes: Dairy Free, Gluten Free, Kosher, Low Fat, Natural or Organic Ingredients, Non-GMO Project Verified , Vegan, Wheat FreeIngredients: Organic brown rice flour, organic evaporated cane juice, sea salt, organic molasses, organic rice bran extract. 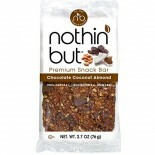 Nutritions: Calcium(0), Calories(120), Chol.. 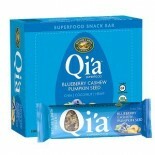 Attributes: Dairy Free, Kosher, Low Salt / Low Sodium / Reduced Sodium, Natural or Organic Ingredients, Non-GMO Project Verified , VeganIngredients: Rolled oats*, evaporated cane juice*, sunflower oil*, pecans*, invert cane syrup*, chia seeds*, apple powder*, molasses*, oat fiber*, oat syrup solids*.. 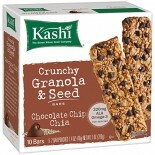 Attributes: Kosher, Natural or Organic Ingredients, Non-GMO Project VerifiedIngredients: Granola* (rolled oats*, evaporated cane juice*, soy oil*), tapioca syrup*, chocolate chips* (evaporated cane juice*, chocolate liquor*, cocoa butter*, soy lecithin*), brown rice flour*, invert cane syrup*, dried.. 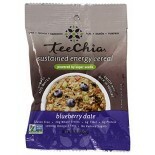 Attributes: Dairy Free, Gluten Free, Kosher, Low Salt / Low Sodium / Reduced Sodium, Natural or Organic Ingredients, Non-GMO Project Verified , Wheat Free, Yeast FreeIngredients: Granola (gluten free rolled oats, evaporated cane juice, sunflower oil, rolled amaranth, rolled quinoa), tapioca syrup, d.. 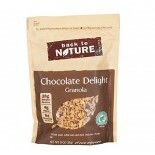 Attributes: Gluten Free, Kosher, Low Salt / Low Sodium / Reduced Sodium, Natural or Organic Ingredients, Non-GMO Project Verified , Wheat Free, Yeast FreeIngredients: Granola (gluten free rolled oats, evaporated cane juice, sunflower oil, rolled amaranth, rolled quinoa), tapioca syrup, chocolate chi.. 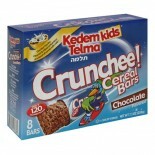 Attributes: Kosher, Natural or Organic Ingredients, Non-GMO Project VerifiedIngredients: Granola (rolled oats, evaporated cane juice, soy oil), tapioca syrup, brown rice flour, invert cane syrup, strawberry pieces (strawberry juice, raspberry juice, cherry juice, apple puree, rice meal, soy oil, pec.. 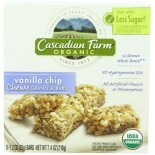 Attributes: Dairy Free, Kosher, Low Salt / Low Sodium / Reduced Sodium, Natural or Organic Ingredients, Non-GMO Project VerifiedIngredients: Rolled oats*, evaporated cane juice*, sunflower oil*, flaxseeds*, honey*, invert cane syrup*, oat fiber*, oat syrup solids* (oat syrup solids*, tocopherols), s.. 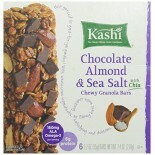 Attributes: Kosher, Low Salt / Low Sodium / Reduced Sodium, Natural or Organic Ingredients, Non-GMO Project VerifiedIngredients: Rolled oats*, evaporated cane juice*, sunflower oil*, chocolate chips* (evaporated cane juice*, chocolate liquor*, cocoa butter*, soy lecithin*), coconut*, invert cane syr.. 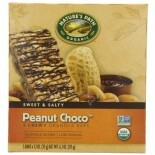 Attributes: Kosher, Natural or Organic Ingredients, Non-GMO Project VerifiedIngredients: Organic Tapioca Syrup, Organic Rolled Oats, Organic Roasted Peanuts, Organic Chocolatey Icing (Organic Evaporated Cane Juice, Organic Palm Kernel Oil, Organic Cocoa, Natural Flavors, Organic Soy Lecithin, Sea Sa.. 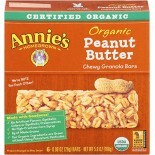 Attributes: Kosher, Low Salt / Low Sodium / Reduced Sodium, Natural or Organic Ingredients, Non-GMO Project VerifiedIngredients: Rolled oats*, evaporated cane juice*, sunflower oil*, chocolate chips*, (evaporated cane juice*, chocolate liquor*, cocoa butter*, soy lecithin*), peanut butter*, invert c.. 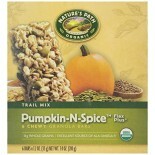 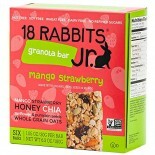 Attributes: Dairy Free, Foodservice (Single Serve), Kosher, Low Salt / Low Sodium / Reduced Sodium, Natural or Organic Ingredients, Non-GMO Project VerifiedIngredients: Granola*, (rolled oats*, evaporated cane juice*, soy oil*), tapioca syrup*, brown rice flour*, pumpkin seeds* (pumpkin seeds*, sal.. 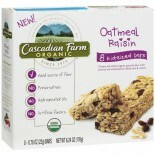 Attributes: Dairy Free, Foodservice (Single Serve), Kosher, Low Salt / Low Sodium / Reduced Sodium, Natural or Organic Ingredients, Non-GMO Project VerifiedIngredients: Organic Tapioca Syrup, Organic Rolled Oats, Organic Brown Rice Flour, Organic Raisins (Coated With Organic Sunflower Oil), Organic .. 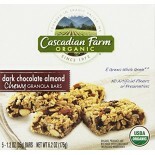 Attributes: Dairy Free, Gluten Free, Kosher, Low Salt / Low Sodium / Reduced Sodium, Natural or Organic Ingredients, Non-GMO Project Verified , Vegan, Wheat FreeIngredients: Granola (gluten free rolled oats, evaporated cane juice, sunflower oil, rolled amaranth, rolled quinoa), tapioca syrup, brown .. 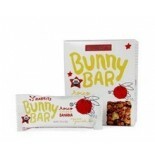 Attributes: Gluten Free, Low Salt / Low Sodium / Reduced Sodium, Natural or Organic Ingredients, Vegan, Wheat Free, Yeast FreeIngredients: Almonds, peanuts, dark chocolate coating (cane sugar, palm kernel oil, fair trade cocoa powder processed with alkali, soy lecithin, vanilla), inulin, cashews, ta.. 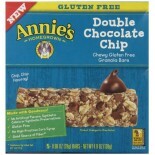 Attributes: Gluten Free, Low Salt / Low Sodium / Reduced Sodium, Natural or Organic Ingredients, Vegan, Wheat Free, Yeast FreeIngredients: Almonds, peanuts, dark chocolate coating (cane sugar, palm kernel oil, fair trade cocoa powder processed with alkali, soy lecithin, vanilla), peanut butter, cash.. 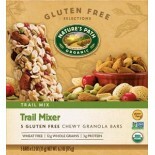 Attributes: Gluten Free, Low Salt / Low Sodium / Reduced Sodium, Natural or Organic Ingredients, Vegan, Wheat FreeIngredients: Almonds, peanuts, inulin, cashews, tapioca syrup, pumpkin seeds, cane sugar, sesame seeds, Brazil nuts, tapioca starch, flax seeds, honey, sunflower oil, sea salt, sunflower.. 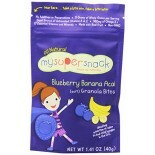 Attributes: Gluten Free, Kosher, Low Salt / Low Sodium / Reduced Sodium, Natural or Organic Ingredients, Non-GMO Project Verified , Vegan, Wheat Free, Yeast FreeIngredients: Roasted cashews*, dried coconut*, tapioca syrup*, brown rice syrup*, dried blueberries* (wild blueberries*, apple juice concen.. 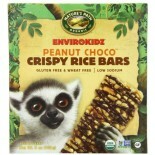 Attributes: Gluten Free, Kosher, Low Salt / Low Sodium / Reduced Sodium, Natural or Organic Ingredients, Non-GMO Project Verified , Vegan, Wheat Free, Yeast FreeIngredients: Dried coconut*, roasted almonds*, brown rice syrup*, tapioca syrup*, fair trade dark chocolate chunks* (cane sugar*, unsweete.. 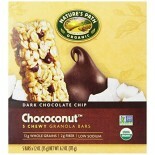 Attributes: Gluten Free, Kosher, Low Salt / Low Sodium / Reduced Sodium, Natural or Organic Ingredients, Non-GMO Project Verified , Vegan, Wheat Free, Yeast FreeIngredients: Dried coconut*, chocolate covered cocoa nibs* (unsweetened chocolate*, cane sugar*, cocoa butter*, cocoa nibs*), tapioca syrup.. 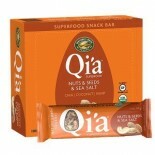 Attributes: Gluten Free, Kosher, Low Salt / Low Sodium / Reduced Sodium, Natural or Organic Ingredients, Non-GMO Project Verified , Vegan, Wheat Free, Yeast FreeIngredients: Dried coconut*, tapioca syrup*, brown rice syrup*, roasted cashews*, roasted almonds*, roasted peanuts*, chia seeds*, hemp see.. 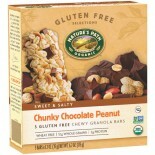 Attributes: Gluten Free, Kosher, Low Salt / Low Sodium / Reduced Sodium, Natural or Organic Ingredients, Non-GMO Project Verified , Vegan, Wheat Free, Yeast FreeIngredients: Roasted peanuts*, dried coconut*, fair trade dark chocolate chunks* (cane sugar*, unsweetened chocolate*, cocoa butter*, vanil.. 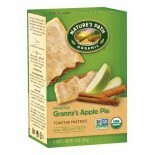 Attributes: Kosher, Natural or Organic Ingredients, Non-GMO Project VerifiedIngredients: Organic apple cinnamon filling (organic evaporated cane juice, organic apple juice concentrate, water, organic evaporated apples, organic vegetable glycerin, organic apple powder, organic corn starch, organic ci.. 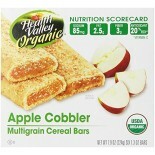 Attributes: Kosher, Natural or Organic Ingredients, Non-GMO Project VerifiedIngredients: Organic Wheat Flour, Organic Evaporated Cane Juice, Organic Palm Oil, Organic Apples, Organic Whole Wheat Flour, Organic Corn Starch, Organic Vital Wheat Gluten, Organic Dextrose, Organic Rice Starch, Organic Ap.. 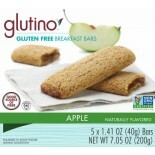 Attributes: Kosher, Natural or Organic Ingredients, Non-GMO Project VerifiedIngredients: Organic Wheat Flour, Organic Evaporated Cane Juice, Organic Evaporated Cane Juice Invert, Organic Palm Oil, Organic Whole Wheat Flour, Organic Apples, Powdered Sugar, Organic Corn Starch, Organic Vital Wheat Glu.. 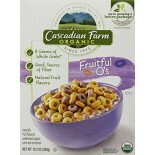 Attributes: Kosher, Natural or Organic Ingredients, Non-GMO Project VerifiedIngredients: Organic Wheat Flour, Organic Evaporated Cane Juice, Organic Palm Oil, Organic Apples, Organic Whole Wheat Flour, Organic Corn Starch, Organic Vital Wheat Gluten, Organic Dextrose, Organic Blueberries, Organic Bl.. 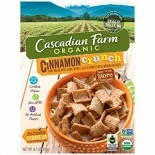 Attributes: Kosher, Natural or Organic Ingredients, Non-GMO Project VerifiedIngredients: Organic Wheat Flour, Organic Evaporated Cane Juice Invert, Organic Palm Oil, Organic Evaporated Cane Juice, Organic Brown Sugar, Organic Whole Wheat Flour, Organic Corn Starch, Organic Vital Wheat Gluten, Organi.. 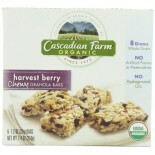 Attributes: Kosher, Natural or Organic Ingredients, Non-GMO Project VerifiedIngredients: Organic Wheat Flour, Organic Evaporated Cane Juice Invert, Organic Evaporated Cane Juice, Organic Palm Oil, Organic Cherries, Organic Apples, Organic Whole Wheat Flour, Organic Corn Starch, Organic Vital Wheat P.. 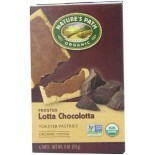 Attributes: Kosher, Natural or Organic Ingredients, Non-GMO Project VerifiedIngredients: Organic Wheat Flour, Organic Evaporated Cane Juice Invert, Organic Evaporated Cane Juice, Organic Palm Oil, Organic Whole Wheat Flour, Organic Fair Traded Cocoa, Organic Vital Wheat Gluten, Organic Corn Starch, .. 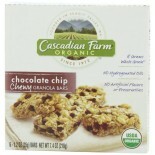 Attributes: Kosher, Natural or Organic Ingredients, Non-GMO Project VerifiedIngredients: Organic Wheat Flour, Organic Evaporated Cane Juice, Organic Evaporated Cane Juice Invert, Organic Palm Oil, Organic Raspberries, Organic Apples, Organic Whole Wheat Flour, Organic Vital Wheat Gluten, Organic Cor.. 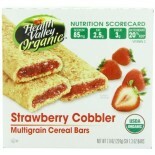 Attributes: Kosher, Natural or Organic Ingredients, Non-GMO Project VerifiedIngredients: Organic strawberry filling (organic evaporated cane juice, organic strawberries, water, organic corn starch, natural flavor, organic apple powder, organic vegetable glycerin, red cabbage extract, locust bean gum.. 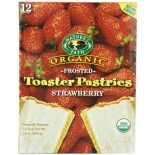 Attributes: Kosher, Natural or Organic Ingredients, Non-GMO Project VerifiedIngredients: Organic Wheat Flour, ORganic Evaporated Cane Juice, Organic Palm Oil, Organic Apples, Organic Whole Wheat Flour, Organic Corn Starch, Organic Vital Wheat Gluten, Organic Dextrose, Organic Strawberries, Organic R.. 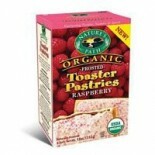 Attributes: Kosher, Natural or Organic Ingredients, Non-GMO Project VerifiedIngredients: Organic Wheat Flour, Organic Evaporated Cane Juice, Organic Palm Oil, Organic Evaporated Cane Juice Invert, Organic Apples, Organic Whole Wheat Flour, Organic Raspberries, Organic Strawberry, Organic Vital Wheat.. 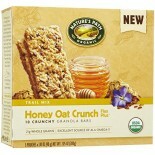 Attributes: Low Salt / Low Sodium / Reduced Sodium, Natural or Organic IngredientsIngredients: Honey Roasted Granola (oats, honey, canola oil), Greek Yogurt Coating (Sugar, non hydrogenated palm kernel, palm and shea oils; Greek yogurt, skimmed milk powder, soy lecithin, natural flavors, citric acid.. 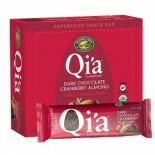 Attributes: Gluten Free, Kosher, Natural or Organic Ingredients, Non-GMO Project Verified , Specialty ProductIngredients: Gluten-free rolled oats, organic quinoa seeds, dates, organic Zante currants (currants, sunflower oil), organic pumpkin seeds, organic milled chia seeds, organic milled flax seed.. 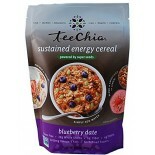 Attributes: Gluten Free, Natural or Organic Ingredients, Non-GMO Project Verified , Specialty ProductIngredients: Gluten-free rolled oats, organic quinoa seeds, dates, roasted almonds, organic milled chia seeds, organic milled flax seeds (golden & brown), organic amaranth seeds, organic dried apples..